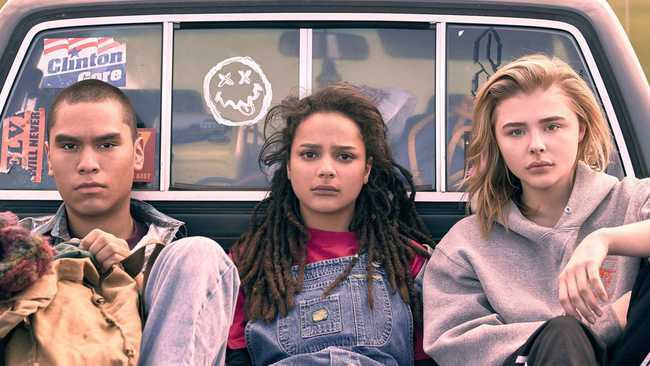 The Sundance Film Festival has presented this year’s round of awards, and on that page you’ll find the descriptions that have tagged along with each title since the day it was announced as part of the lineup. Below, you’ll find mini-roundups on the winners—reviews, interviews, and so on—or links to entries on them, which, by the way, are still being updated. Jury: Rachel Morrison, Jada Pinkett Smith, Octavia Spencer, Michael Stuhlbarg, and Joe Swanberg. “The queer Akhavan is not Evangelical, but she felt she could find a way into this world that would portray the school’s teachers and therapists as misguided people, not just caricatures of villains,” writes April Wolfe for Film Comment. “‘I was raised Irani, in a very isolated Persian community where I heard my auntie say they’d rather their kid have cancer than be gay,’ Akhavan says. ‘And I still loved her. That’s the thing. Some of the best people do the ugliest things.’” Wolfe also talks with novelist Danforth, who’s “she’s greatly saddened by how relevant the story’s become, with conversion-therapy proponent Mike Pence ascending to the Vice Presidency.” And Wolfe discusses the film again on a recent Film Comment Podcast (36’35”). More from Nick Allen (RogerEbert.com), Monica Castillo (Little White Lies), Peter Debruge (Variety), Gregory Ellwood (Playlist, B-), Leslie Felperin (Hollywood Reporter), Tim Grierson (Screen), Jordan Hoffman (Guardian, 5/5), and Jordan Raup (Film Stage, B-). Interviews with cinematographer Ashley Connor: The Credits and Filmmaker. “This movie is about as subtle as a sledgehammer, with no shortage of cringeworthy moments and an uninteresting lead performance,” finds Jordan Hoffman in the Guardian. 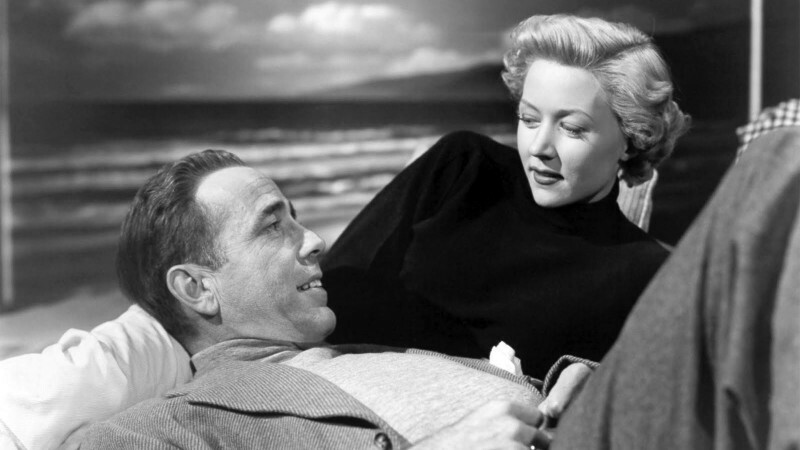 Update, 1/30: “The ambition throughout is admirable, though the execution wavers,” writes Dan Mecca at the Film Stage. Sara Colangelo for The Kindergarten Teacher. Click the title for the entry. “The movie's refusal to ingratiate is admirable, even if you end up wondering whether it was worth all the doom and gloom,” adds Jon Frosch in the Hollywood Reporter. More from Nick Allen (RogerEbert.com), Kate Erbland (IndieWire, B+), Fionnuala Halligan (Screen), and Stephen Saito. Women and Hollywood has questions for Choe, and Filmmaker talks with her, too, as well as with cinematographer Zoë White. For Deadline, Joe Utichi interviews Riseborough, who’s also appeared in three other films at Sundance, Burden, Panos Cosmatos’s Mandy, and Armando Iannucci’s The Death of Stalin. Reinaldo Marcus Green’s Monsters and Men. See the entry. “I wish I could make the people who dissed The Road watch this as punishment,” writes Victor Morton for the Salt Lake City Weekly. More from Gregory Ellwood (Playlist, B), Tim Grierson (Screen), Vince Mancini (Uproxx), and Brian Tallerico (RogerEbert.com). More from Nick Allen (RogerEbert.com) and Dan Mecca (Film Stage, B). Blaze is one of the films that Eric Hynes and Nicolas Rapold discuss in a recent episode of the Film Comment Podcast (32’20”). Interviews with Hawke: Filmmaker and Dominic Patten (Deadline). Updates, 1/30: “Described by its director as a ‘gonzo indie country-western opera,’ Blaze is sleepier and more bittersweet than Hawke might have you believe, less of an opera than an acoustic requiem for a ramblin’ man,” writes IndieWire’s David Ehrlich. Dickey “lends this outlaw-country wildman and Townes Van Zandt drinking buddy an aura of tarnished-halo saintliness,” writes Rolling Stone’s David Fear. Hawke has “made a film that rambles, scrambles, fights its way to the finish line, exactly the way its subject would have wanted it to be,” writes Jordan Ruimy at the Playlist. Jury: Barbara Chai, Simon Chinn, Chaz Ebert, Ezra Edelman, and Matt Holzman. “We went where the story took us, and because the story was unpredictable, we were always prepared for anything,” Doneen tells Filmmaker. “The overall issue of mass incarceration and sentencing is a large one,” Valdez tells Filmmaker. “I wanted to put a face on it.” Filmmaker also interviews editor Viridiana Lieberman. HBO has acquired U.S. television and streaming rights, reports Bruce Haring for Deadline. “Bereft of the horrific imagery that often is associated with documentaries such as this, On Her Shoulders is more devastating simply in chronicling this Sisiphyean exercise,” adds Stephen Saito. More from Nick Allen (RogerEbert.com), John DeFore (Hollywood Reporter), Ed Gibbs (Little White Lies), and Scott Renshaw (Salt Lake City Weekly, 3.5/4). Interviews with Bombach: Filmmaker and Women and Hollywood. RaMell Ross’s Hale County This Morning, This Evening. See the entry. “The officers’ stories are infuriating, backed up by hidden-microphone and hidden-camera material that proves the wink-and-a-nudge reality of New York City using disadvantaged populations as an easy revenue stream, and showing the real-world consequences of these officers daring to challenge the system,” writes Scott Renshaw for the Salt Lake City Weekly. More from Andrew Crump (Playlist, B+) and Brian Tallerico (RogerEbert.com). And Crime + Punishment is one of the films Eric Hynes and Nicolas Rapold discuss in a recent Film Comment Podcast (36’42”). Tim Wardle’s Three Identical Strangers. See the entry. “Liu has a gift for montage and a confident way with his camera, and the emotional heft of this debut is quietly overwhelming,” writes Flavorwire’s Jason Bailey. More from Daniel Fienberg (Hollywood Reporter), John Fink (Film Stage, A-), Eric Kohn (IndieWire, B+), Stephen Saito, and Brian Tallerico (RogerEbert.com). Filmmaker talks with Liu about directing, shooting, and editing Minding the Gap. Jury: Hanaa Issa, Ruben Östlund, and Michael J. Werner. Filmmaker gets a few words with Karaçelik. Gustav Möller’s The Guilty. Click the title for the entry. “Understated and confidently judged, it becomes a testimony to the old-fashioned virtues of social-realist storytelling rooted in ordinary lives and timely concerns,” adds Allan Hunter in Screen. Edward Davis has a clip at the Playlist. More from Nick Allen (RogerEbert.com), Allan Hunter (Screen), Kyle Kohner (Playlist, B), Christopher Llewellyn Reed (Hammer to Nail), Scott Renshaw (Salt Lake City Weekly, 3/4), Stephen Saito, and Frank Scheck (Hollywood Reporter). 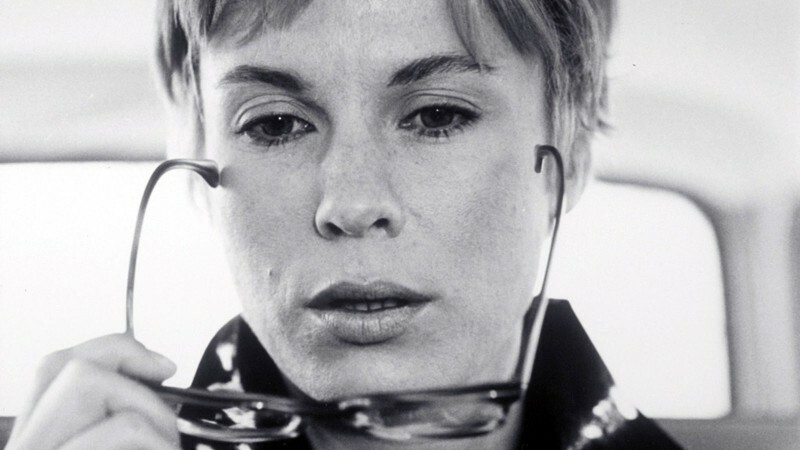 “It’s a relatable idea to be certain, but in this case it doesn’t add up to a particularly interesting film,” finds Nick Allen at RogerEbert.com. Bertuccelli talks with Women and Hollywood and Filmmaker, which also has an interview with cinematographer Matías Mesa. Stephen Saito talks with Yan “about figuring out a story that could capture Shanghai in all its diversity.” Women and Hollywood gets a few words with her as well, while Filmmaker interviews cinematographer Federico Cesca and editor Alex Kopit. Jury: Joslyn Barnes, Billy Luther, and Paulina Suárez. For Victor Morton in the Salt Lake City Weekly, “as remarkable as the observational scenes are, they come at the expense of shape and trajectory.” More from Vladan Petkovic (Cineuropa), Stephen Saito, and Daniel Schindel (Film Stage, B). More from Nikki Baughan (Screen), Gary Garrison (Playlist, A-), and Daniel Schindel (Film Stage, C). Interviews with Shiva: Filmmaker and Women and Hollywood. “The 16 mm color footage pops like nothing made today does,” adds Victor Morton in the Salt Lake City Weekly. More from Fionnuala Halligan (Screen), Eric Kohn (IndieWire, B+), and Daniel Schindel (Film Stage, B). Eric Hynes and Nicolas Rapold discuss the film in a recent Film Comment Podcast (32’20”). Women and Hollywood has questions for Tan, as does Filmmaker, which also interviews editor Lucas Celler. More from Leslie Felperin (Hollywood Reporter) and Charlie Phillips (Guardian, 4/5). Maxim Pozdorovkin and Matvey Kulakov for Our New President. See the entry. More from Christopher Llewellyn Reed at Hammer to Nail. Update, 1/31: Sloan Science & Film’s Sonia Shechet Epstein interviews Arbugaev and Frei. “Authenticity here is totally on point,” writes Kim Voynar at Movie City News. “Spiro’s co-writer Angelica Nwandu was herself a child of the foster care system, and Spiro herself incepted this tale while volunteering at Peace4Kids, which helps kids living in foster care ‘grow and discover their significance.’” More from Victor Morton (Salt Lake City Weekly, 3.5/4). Interviews with Spiro: Filmmaker, Ioncinema, and Women and Hollywood. Ioncinema also interviews Fishback and Hall, while Filmmaker has questions for cinematographer Hatuey Viveros Lavielle and editor Taylor Levy. Update, 1/31: “One of the very best directorial debuts I saw at Sundance,” declares Nick Allen at RogerEbert.com. Update, 1/30: Ioncinema’s Eric Lavallée talks with producer Alvaro R. Valente. “Zagar takes his intuition as a documentarian and finds further inspiration in the likes of poetic realist staples Ken Loach, Charles Burnett, and Lynne Ramsay,” suggests Ben Umstead at ScreenAnarchy. More from Jordan Ruimy (Playlist, B+) and Stephen Saito. Filmmaker talks with Zagar and cinematographer Zak Mulligan, and Ioncinema interviews Zagar and Sheila Vand. More from Kate Erbland (IndieWire, B+) and Jordan Ruimy (Playlist, B+). Filmmaker has questions for cinematographer Juan Sebastian Baron, as does Ioncinema, also interviewing Chaganty and producer Sev Ohanian. “Cutting to the emotional core of what social media says about us, the result is as much a time capsule of our relationship to (and reliance upon) modern technology as it is a cutting-edge digital thriller,” writes Variety’s Peter Debruge. “John Cho should be our next leading man,” argues Dan Mecca at the Film Stage. Jurors: Cherien Dabis, Shirley Manson, and Chris Ware. Grand Jury Prize: Álvaro Gago’s Matria. 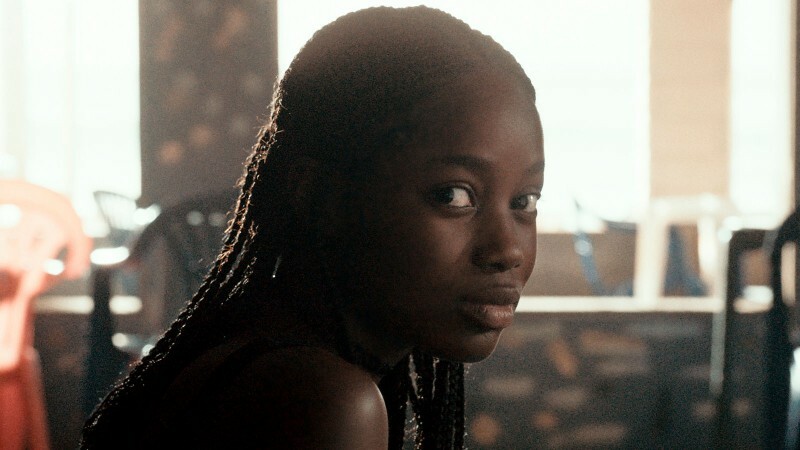 Short Film Jury Award: U.S. Fiction: Mariama Diallo’s Hair Wolf. Short Film Jury Award: International Fiction: Goran Stolevski’s Would You Look at Her. Short Film Jury Award: Nonfiction: Tamta Gabrichidze’s The Trader (Sovdagari). Short Film Jury Award: Animation: Jeron Braxton’s Glucose. And three Special Jury Awards without designation were presented to: Carey Williams’s Emergency, Jérémy Comte’s Fauve, and Luis De Filippis’s For Nonna Anna. Update, 2/4: Cristina Costantini and Darren Foster’s Science Fair has won the inaugural festival favorite award, “selected by audience votes from the 123 feature films screened,” as Dave McNary reports for Variety. More from Justin Lowe (Hollywood Reporter) and Scott Renshaw (Salt Lake City Weekly, 2.5/4). Interviews with the directors: Filmmaker, Stephen Saito, Kenneth Turan (Los Angeles Times), and Women and Hollywood.